Home/What Causes Low Back Pain? Low back pain can be caused from many things. It can be from overuse or fatigue; however low back pain can have serious implications on health if not treated. 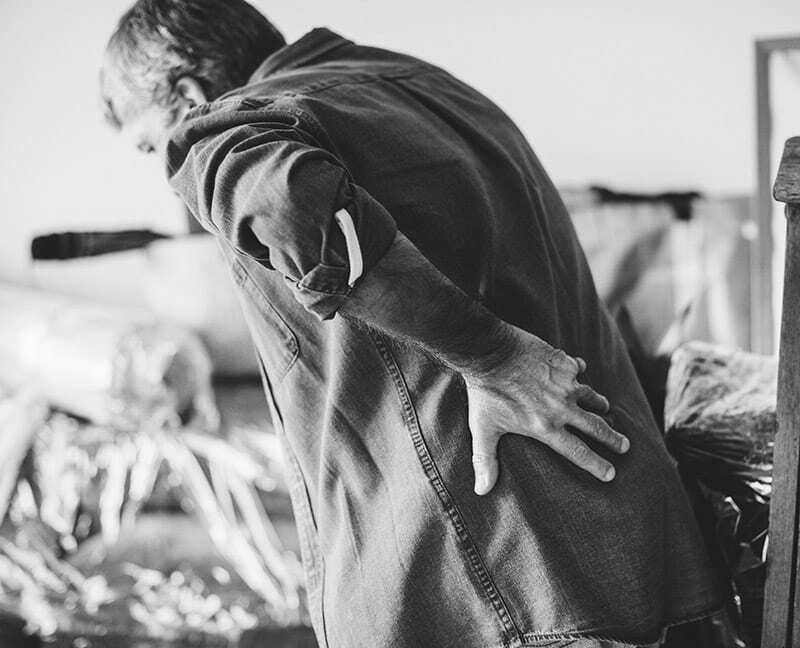 According to the World Health Organization, the likelihood of getting low-back pain in industrialized countries (such as the United States) is 60-70%. Nurses and CNAs are at an increased risk. So it is important to know: what causes low back pain? Let’s start by talking about your spine. Your spine is a series of bones, stacked on top of each other. Sandwiched between these bones are discs, which are stretchy and cushion the bones from rubbing against each other. Your spine literally supports your entire body. Multiple muscles and ligaments attach to the spine. The spine also protects your spinal cord and multiple nerves. With multiple components comprising the spine, it can be hard to pin down exactly what causes it, so we will go over a few. Many muscles attach to the back. Hip muscles, shoulder muscles, gluteus muscles, and more. The muscle can also be strained from doing repetitive motions or lifting weight that is too heavy or incorrectly lifting. It can also happen from high forces and whiplash caused in car accidents. Strains are very painful. Treatment usually involves 1-2 days of ice and rest, followed by multiple days of heat, light stretching, and rehab to promote strength in the injured and weak muscle. Pain can linger for weeks. Medications can be taken per doctor recommendation to assist with inflammation, pain, and muscle tension. Between the bones in the spine are spongy discs that protect the spine bones and allow for increased flexibility in the spine. Under high impact, such as from a car crash or lifting heavy objects, a disc can come out of place, bulge out, or rip. This needs to be seen by a doctor to be treated. The spinal cord and multiple nerves travel up through the spinal cord. This makes the spinal cord well protected, but what happens if the bones start rubbing on a nerve? This would be very painful. This typically happens with spinal stenosis: the hole that the nerve sits within in the spine can grow narrow and harden, putting pressure on nerves. This leads to increased pain. See your doctor if you have chronic low back pain that cannot be treated with rest, ice/heat, and over-the-counter pain medications. The spine is made up of many bones. Fracturing the spinal cord (from either trauma, or from brittle bones with osteoporosis) can lead to pain at the site. This can happen with excess twisting, poor lifting technique, or trauma (falling, car accident). If you have a fall, hear a pop while lifting anything, or are in an accident you should seek treatment for a doctor to rule this out. There are a few activities that are recommended for back health. Abdominal strengthening exercises, light stretching, and flexibility activities can help reduce your chance of back pain. Proper lifting mechanics can also help protect back muscles. To learn more, enroll in our “Understanding Pain” CNA Lecture to learn these techniques yourself and how to protect your back! By Project Heartbeat|2018-11-20T15:13:10-07:00November 30th, 2018|Advanced Nursing, Education|Comments Off on What Causes Low Back Pain?